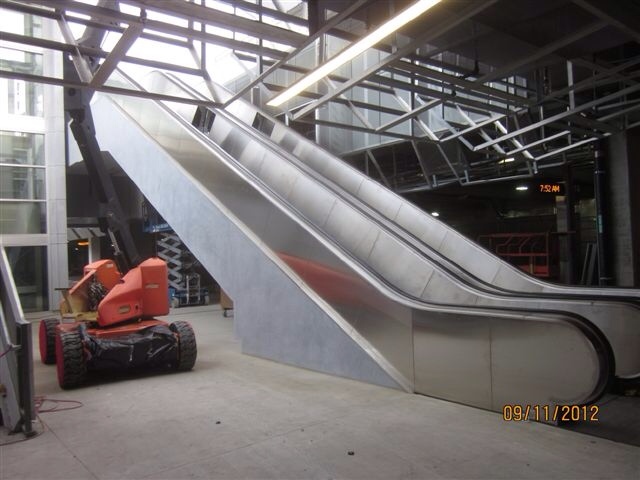 A new set of escalators at the station. 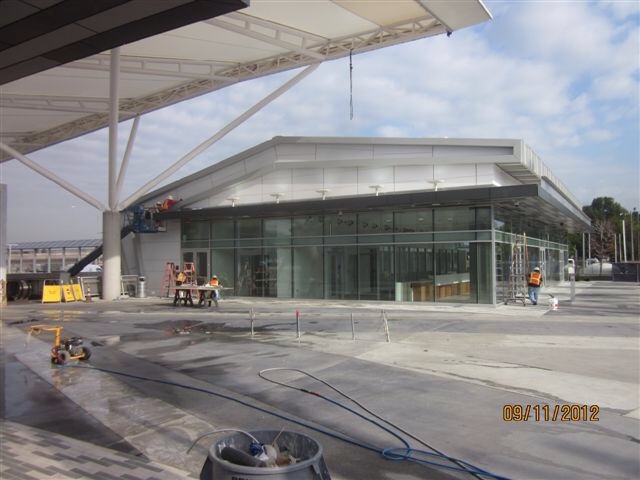 Cleaning being done on the new transit building. The new tactile dome panels on the ground-level bus bays. 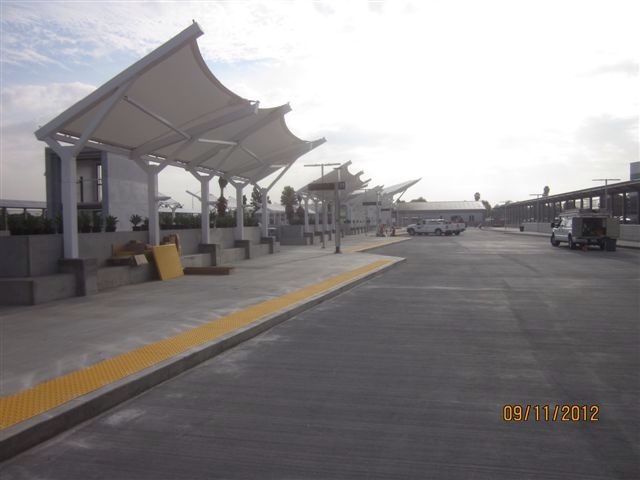 I’d love to see the El Monte Metrolink Station moved about 1/3 of a mile to the west, adjacent to the new bus terminal, so that passengers would be able to easily transfer from train to bus. @Jim wouldn’t that be nice? Shame Metrolink and Metro couldn’t find a way. Will these be the new energy efficient motion detector escalators that slows down when no one is on them? Such a large design flaw is embarrasing, just as the greyhound station and its proxomity to Union Station, and USC/Harbor Freeway station and the Expo Line. I really wish these mistakes would be corrected. It would seem to be very worth the investment in ridership. An illogical system is one that is also a bit hard to trust, and in itself represents service that may not cater to the riders and society as a whole, but private interest. Once rode Metrolink to El Monte, and had a friend pick me up. They waited at the bus center since they had a ssumed the train stopped there. I wasnt mad at them; its a logical assumption! Where’s the ticket vending machines for the Silver Line? It has now been 4 YEARS Since service began on the line 910 and no TVMs have been installed. WHAT IS TAKING SO LONG???????????????????? A direct transfer between Silver Line and Metrolink is available at Cal State LA. The reason there is no transfer at El Monte is because Metrolink would lose fare revenue if people just transferred to the Silver Line at El Monte for free. As for the transfer between Jefferson on Expo and 37th St on Silver: a closer transfer is available at 23rd. The purpose of having the El Monte Metrolink and Bus Stations close to each other would not be to allow easy Metrolink/Silver Line transfers. It would be to allow easy transfers between Metrolink trains and any of the 19 or so other MTA/Foothill Transit bus lines that stop there, not to mention some Greyhound buses that also stop there. I’m not sure how close the Metrolink tracks are to the El Monte Bus Station but, is it possible to move the Metrolink station a half a mile closer to the Bus Station? West of Santa Anita would make it a easier walk to the Bus Station.